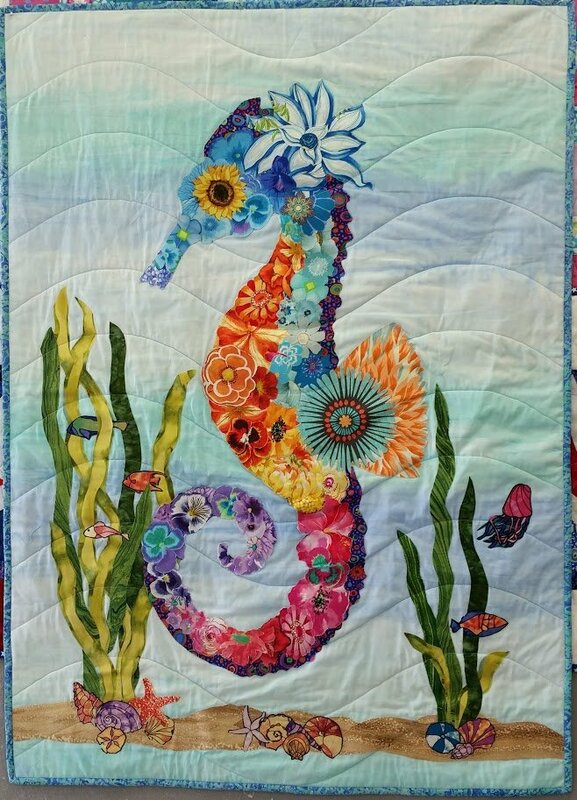 The collage quilts are fun, easy and very addicting to make. You can let your creativity flow as you make a collage animal or figure of your own. The collage is made using a variety of fabric colors, shades, shapes, or floral motifs. Gather fabric of your choice in colors and designs that you enjoy and off you go.